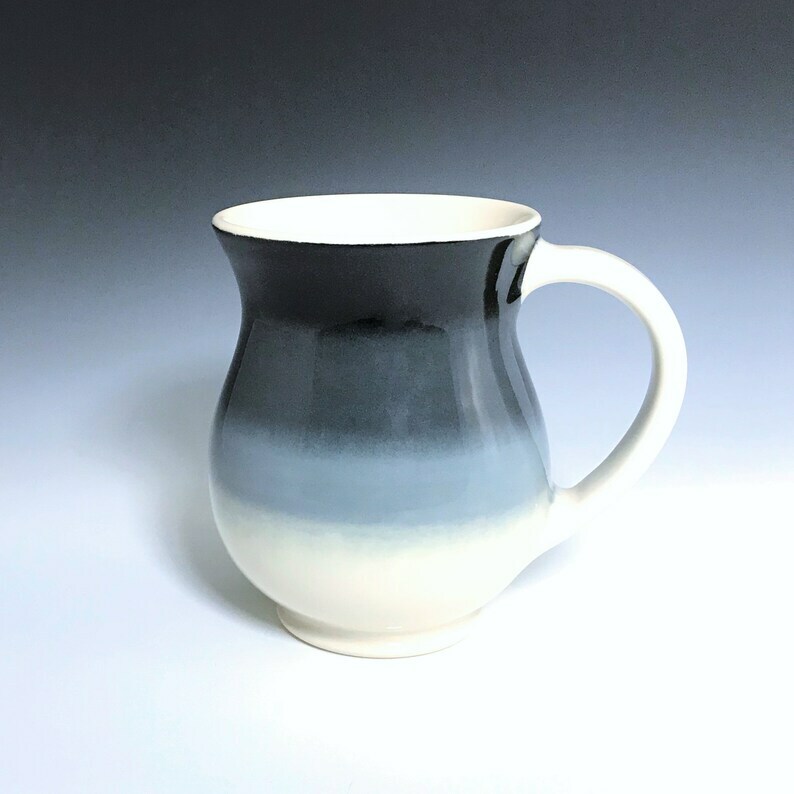 Large round belly shaped ceramic coffee mug with a black and gray ombre pattern on creamy white porcelain with a clear glaze. It is dishwasher and microwave safe. Size: Height 5", Diameter 3 ½" at the rim, holds about 17 oz. Each coffee mug is handmade individually and there may be slight variations in size and glaze patterning. I made this mug on a potter's wheel using high-quality porcelain. The striped pattern is hand painted using underglazes. I mix my glazes from scratch using only non-leaded ingredients. The final glaze firing reaches 2,232°F ensuring that the pot is safe for use with liquids/food and can be used in microwaves and dishwashers.